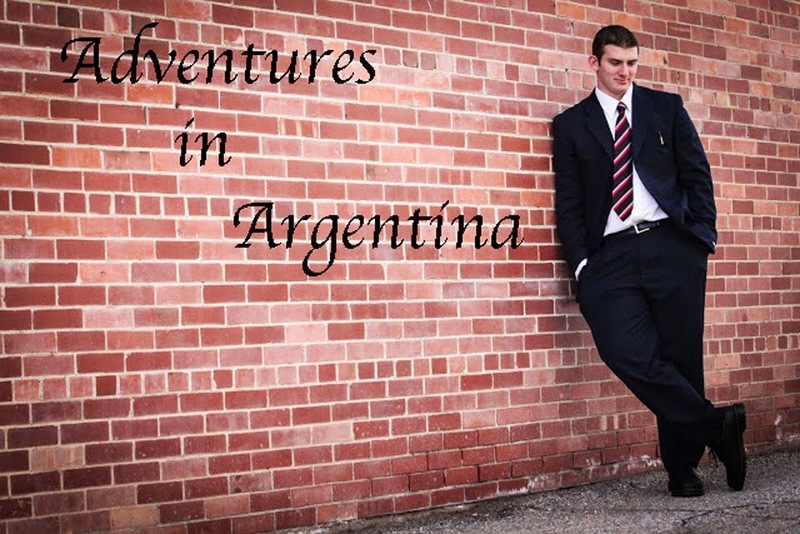 Adventures in Argentina : FIrst Week in the Villa! FIrst Week in the Villa! This week has been pretty great! We first started to week by going to a conference in Captial o sea Buenos Aires. We had the conference with Elder David F. Evans of the Seventy! It was SUPER long, but super great! 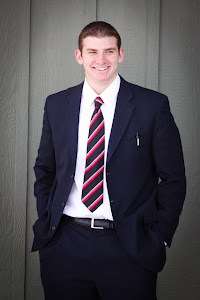 Elder Evans talked about establishing the church and bringing the less-actives back. He said there are too many less-actives in Argentina and that we need to bring them back. He also said that the First Presidency and the Apostles are concerned that we are not teaching repentance and that is why there are so many less-actives. He told us that just marriage isn´t repentance and that they need to live the law of Chastity before marriage even occurs. And that they need to confess their sins to God and to be living the law of Chastity before marriage. It made me really think about how I am teaching. The next lesson that we taught, we taught the Law of Chastity and the Word of Wisdom to some investigators that are going to be baptized on Saturday. Afterwords, I invited them to repent of the sins that they broke if they have ever broken the Law of Chastity or Word of Wisdom. Right now, they are super set on being baptized and super excited about it. This family´s name is La Familia Pollini. To be honest, they are kinda slow. But they have great desires to be baptized and to follow God. There are 3 in the family. There is a man named Martín, who is pretty slow mentally, but has the biggest desire out of all them. The wife of Martín is named Rosa and she is pretty smart at remembering what we have taught. She has a daughter named Rosio. She is 14 years old and I am pretty nervous about her. She has desires to be baptized, but it´s kinda like, ehhh sure...maybe it´s because she doesn´t have many friends in the church. So we are starting to get that going. Anyways, I am super excited for this Saturday that it is going to be my first baptism! Woooo! There is going to be another family that is going to be baptized. Natalia and Marcos. Elder Neyra has been working with them for 4 months and now they are finally prepared to be baptized. Natalia had a problem with smoking, but now she is super awesome and will be a great member. Marcos has a habit, where whenever he watches a BOCA game, he drinks one bottle of beer. He says he has a desire of 5 to quit. We told him he needs to stop right now or can´t get baptized. He has a testimony, but is a testimony of a kid. Small, but it is there. So 5 baptisms this weekend! Ahhh! It´s crazy! I´m actually super nervous. We also had a wedding this week. One of our investigators named Angel got married to a menos-activo. Weddings in Argentina are kinda lame actually. All they really do is sign a paper, say a couple words and people throw rice on them. Pretty exciting, right? Then we went over to their little house and had mini pizzas and sandwiches. Weddings here are pretty rare because everyone lives together and live with their girlfriends and boyfriends. They live together for like 10 years too without getting married. There´s no price in getting married, people are just too lazy to do it. Kinda lame really. We also did service this week with Martín in his house that he owns. Sorry to say, but it was the grossest house ever...It was full of trash on one side and full of trash on the other side. So instead of putting the trash in a dumpster, we put sand over it to cover it up and make it look nicer. I don´t know if that is good or not. But it was pretty easy because we did service with 6 other Elders. At least I got to wear normal clothes again hehe. Well...I didn´t get robbed, shot or stabbed this week. I did hear a lot of gun shots this week so that is pretty exciting. I started reading Ensigns again and I found a talk by President Monson again. I will send the link to it, but it talks about having compassion on people. After I read it, I just wanted to make cookies for someone and give it to someone that was having a hard day. I invite each and everyone of you to go to a less-active and befriend them. Our job as children of God is to help others return to the iron rod and receive eternal life. I promise that if you guys do this, you will have so much happiness in your life that you won´t even describe it. I love you all so much!